DISHING DIVA! Here She Is… Baby North! 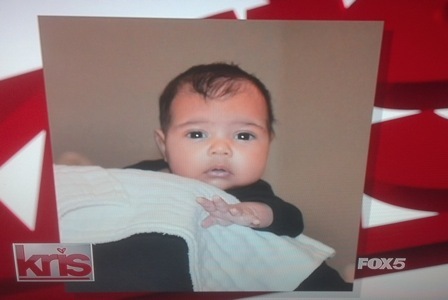 The hottest baby pic out today is baby North West, the two month old daughter of Kim Kardashian and Kanye West. Kanye revealed the pic of his precious bundle of joy on the season finale of baby mama mama’s Kris Jenner‘s talk show series Kris. Kanye said to put the circus to rest about whether he and Kim would sell the pictures to a magazine, Kanye said there was no better place to reveal it than on grandma’s show, awww! And yep, that baby IS cute! DISHING DIVA! 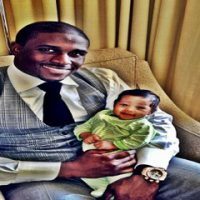 Why Reggie Bush Released His Baby Photo The Day After Ex Gave Birth! DIVA DISH! 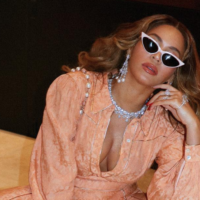 Beyonce/Netflix Special! 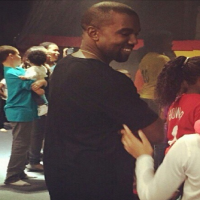 North West Does Church Service. Meghan Baby News! DISHING DIVA! Kanye West Grabbing A Lady In NYC… And It’s Not Kim! DISH! 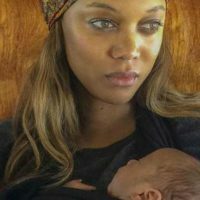 Tyra’s new baby, Kanye’s New Home? Did Kim K Get Plastic Surgery After Baby – WATCH!